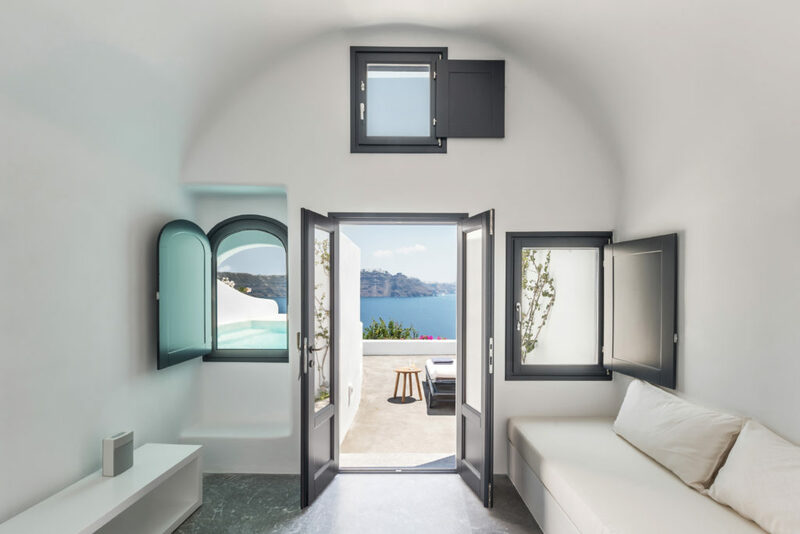 Expect some serious architectural extravaganza next to Oia main square, right in the heart of town. 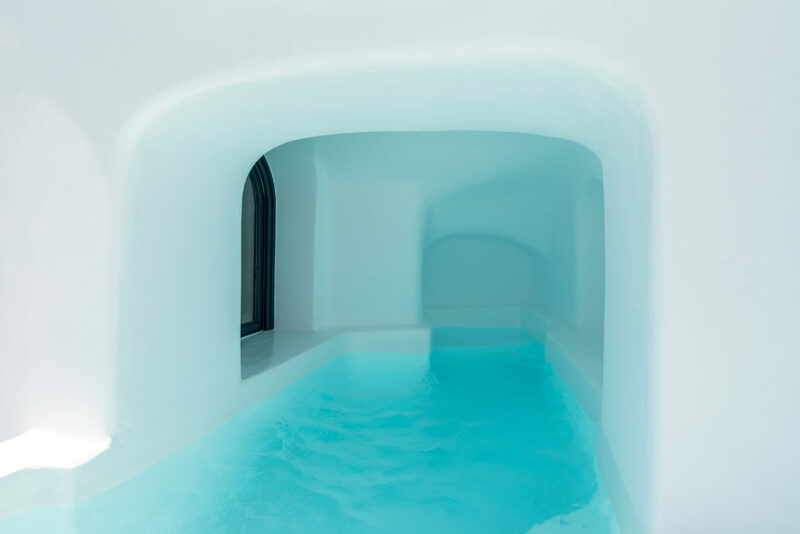 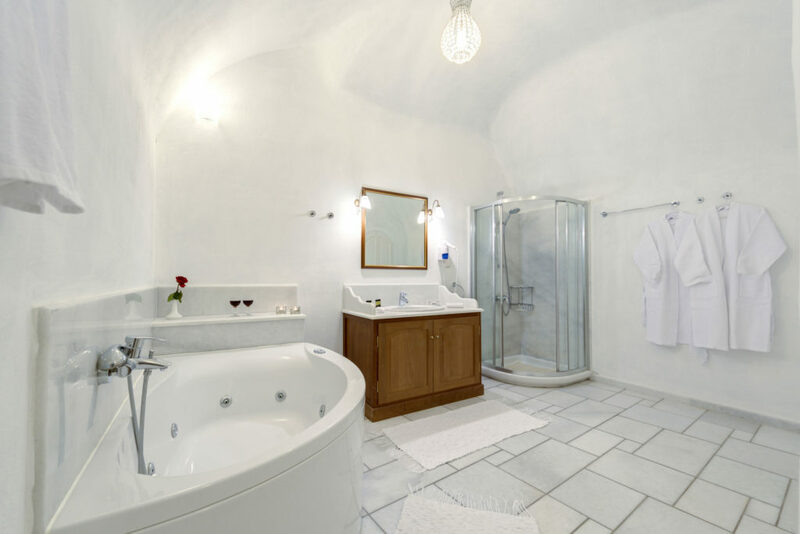 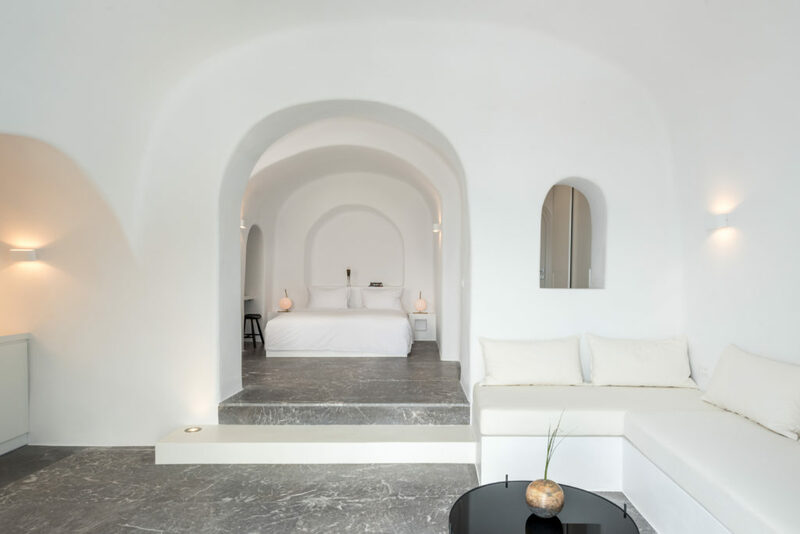 With our luxury suites we tried to match a modern variation of the famous Santorini cave architecture to minimalism in interior design. 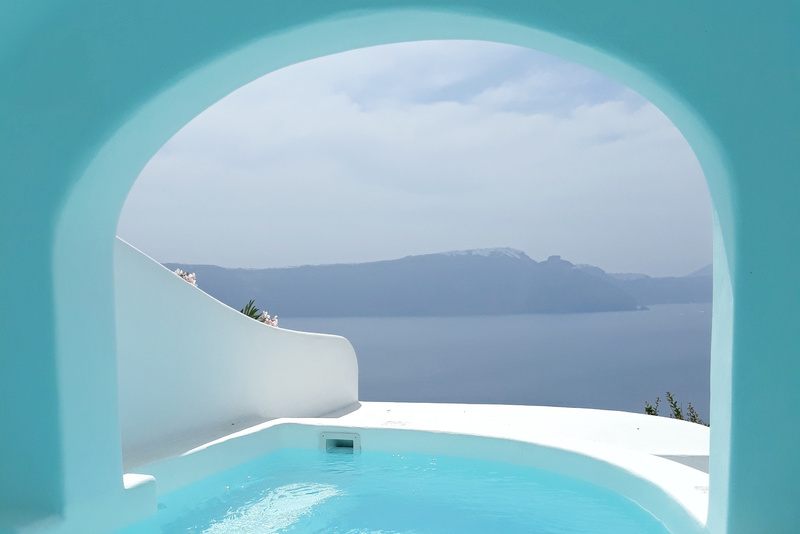 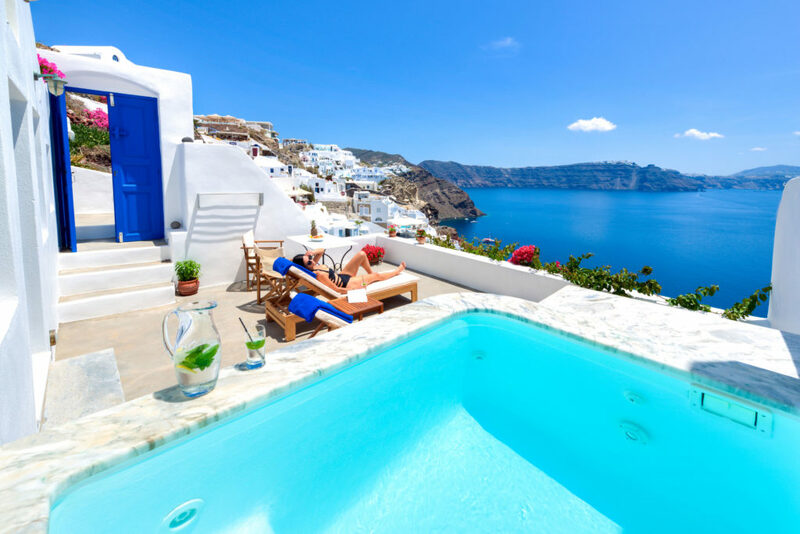 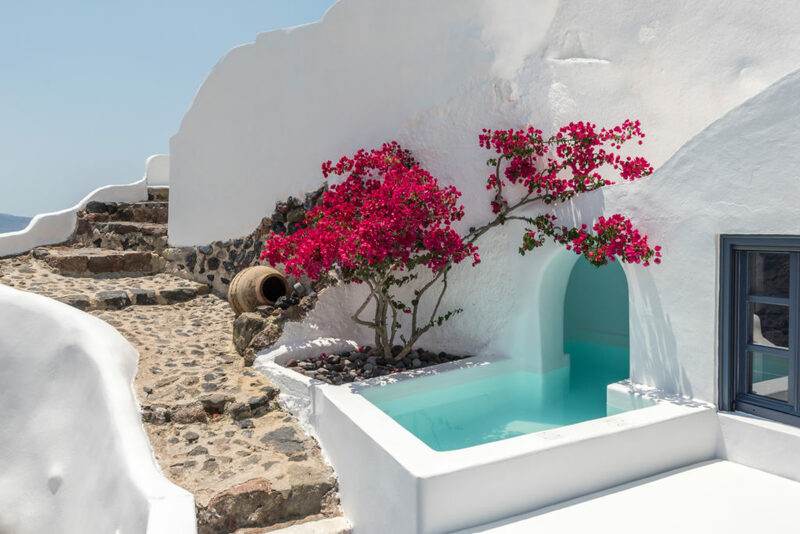 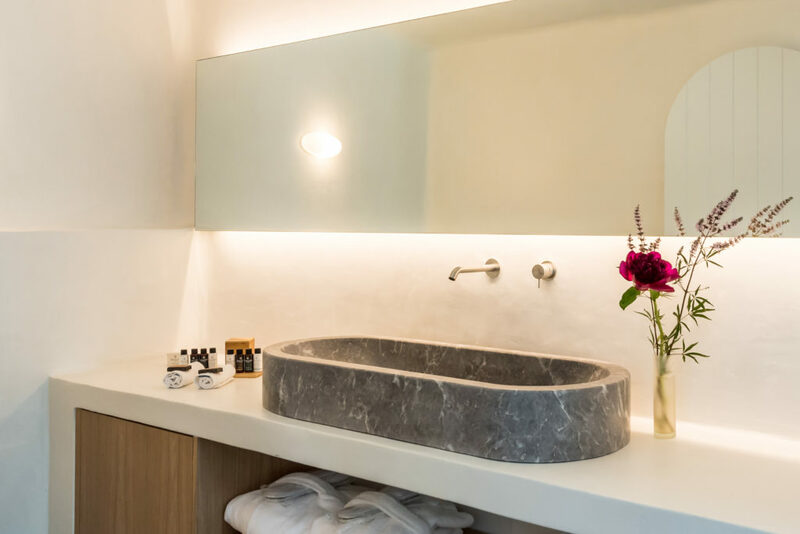 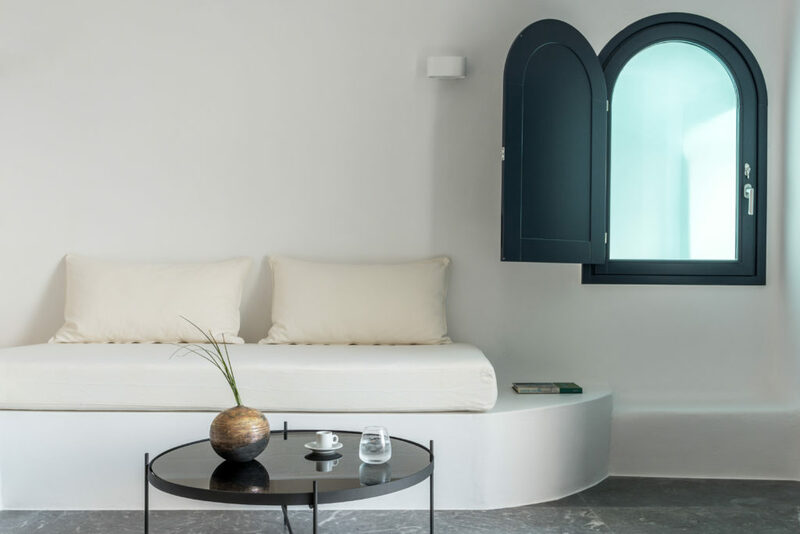 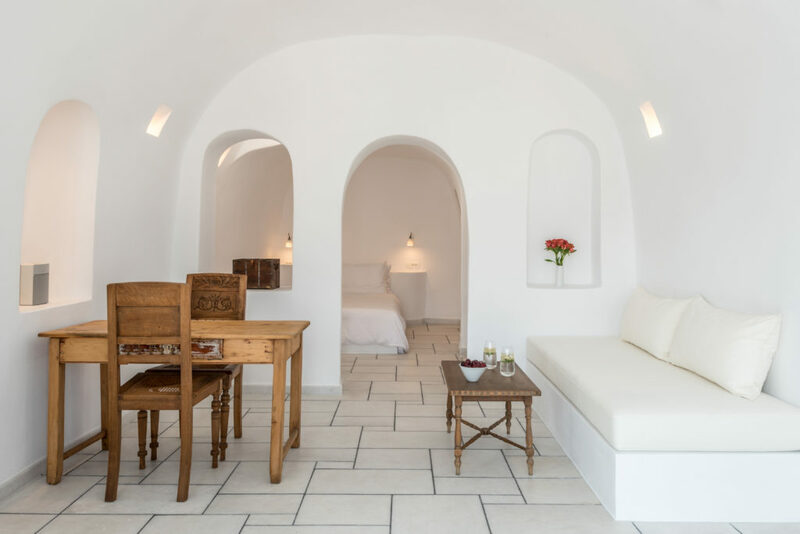 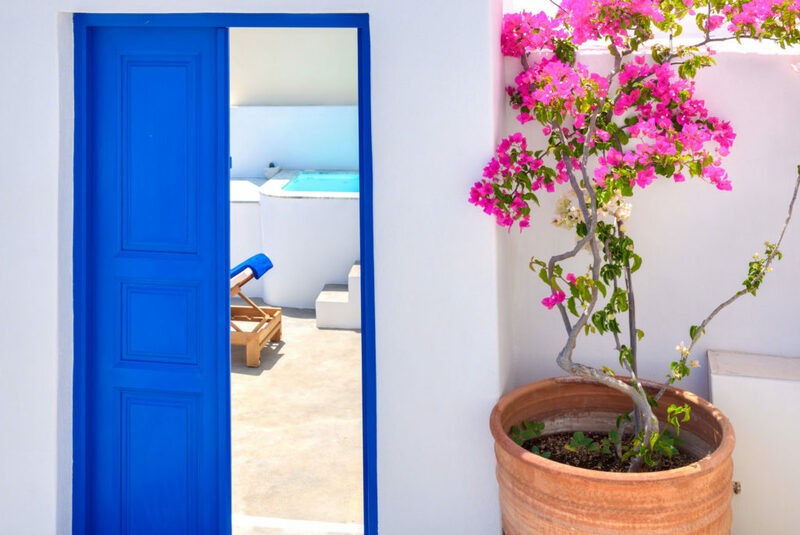 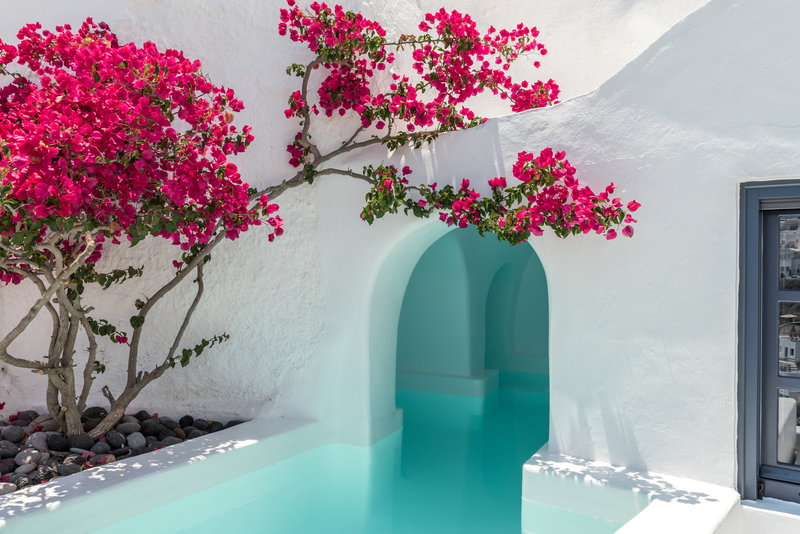 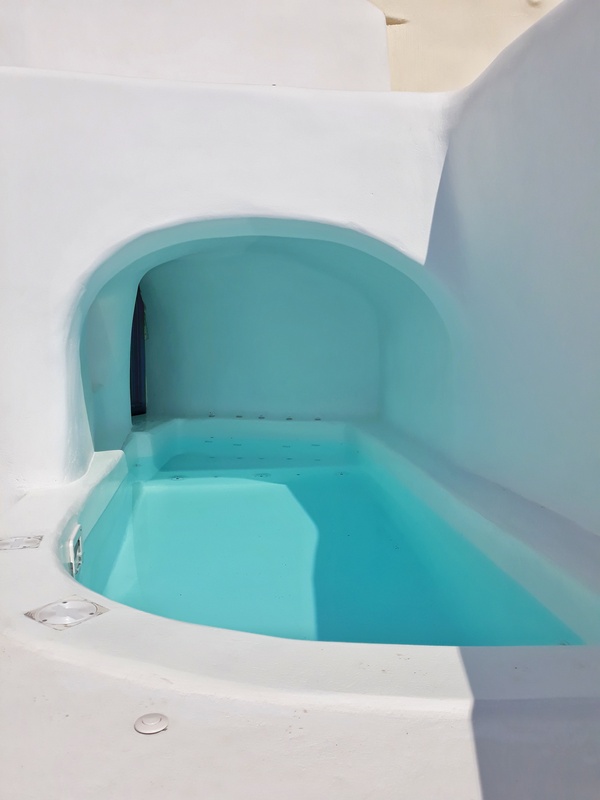 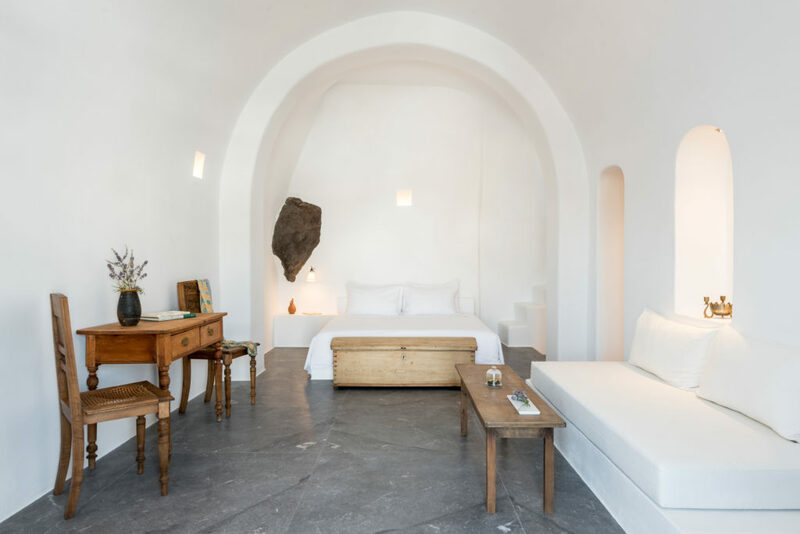 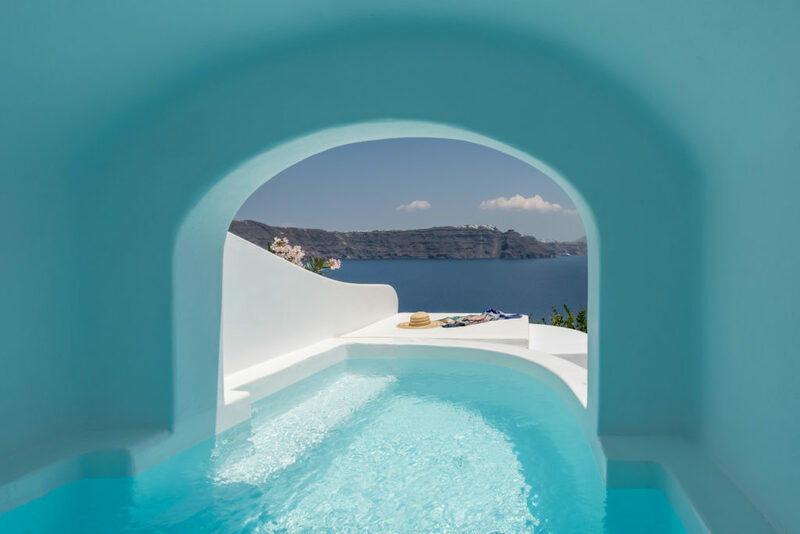 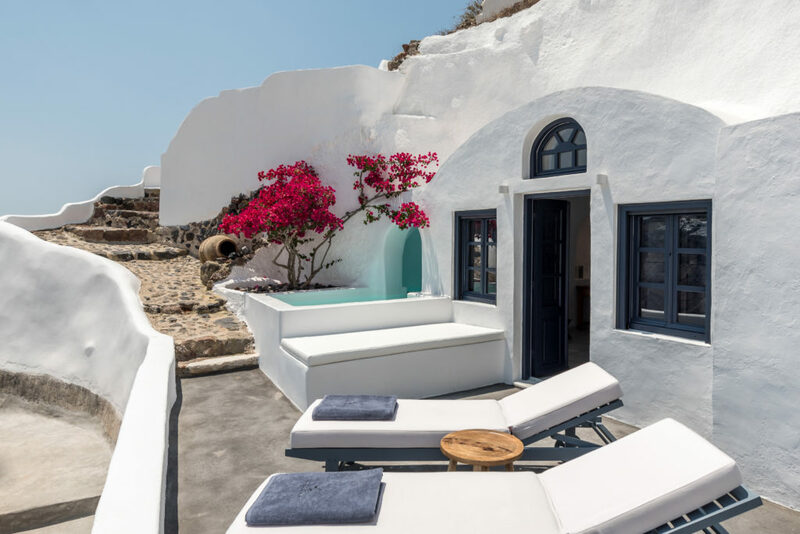 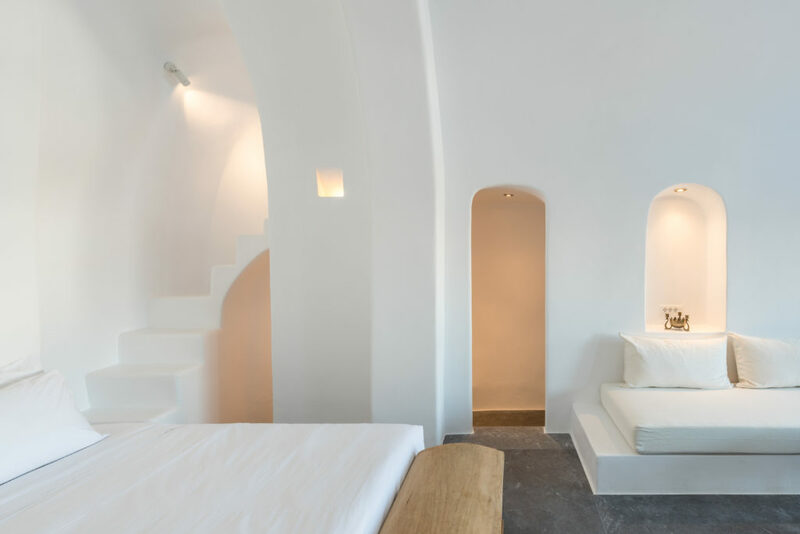 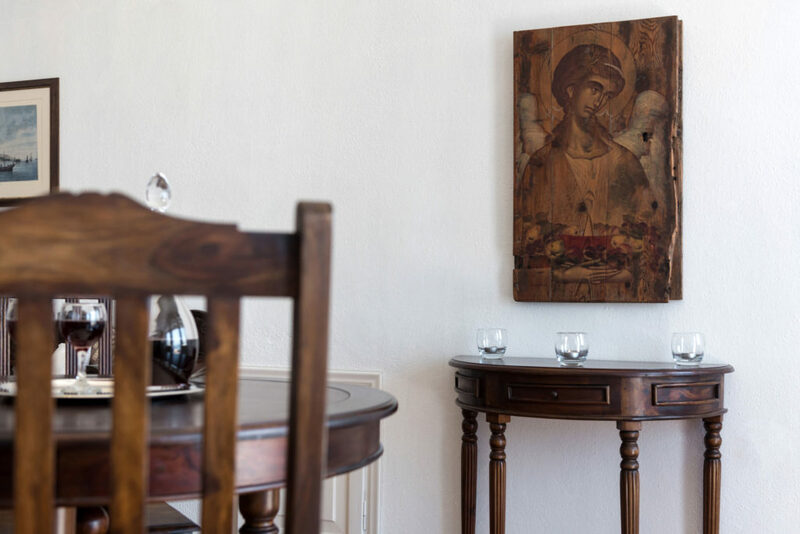 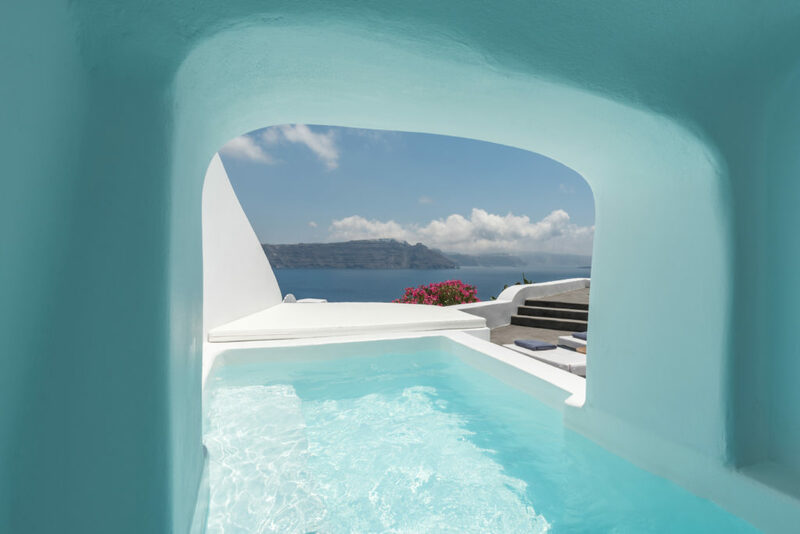 The Chelidonia suites were designed by two Santorini architects, both share our minimalist approach, but offer slightly varying interpretations. 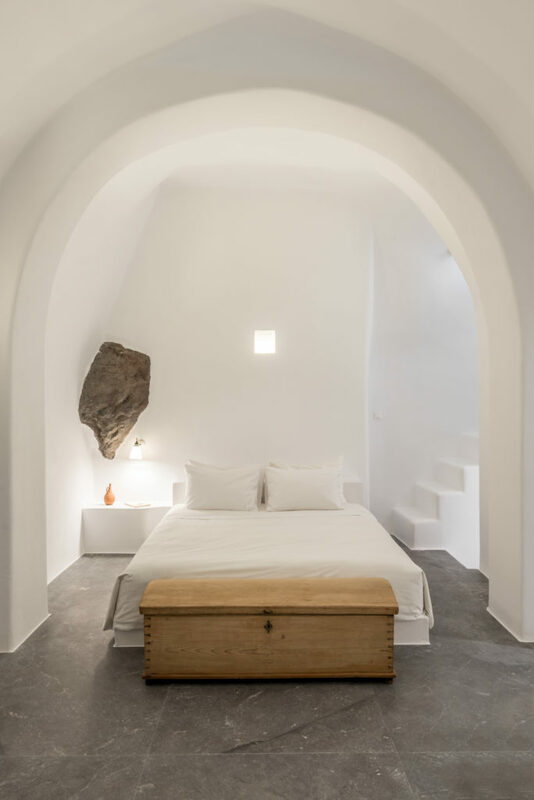 While one is purely minimalistic, the other combines that with meticulously staged historic elements as counterpoints. 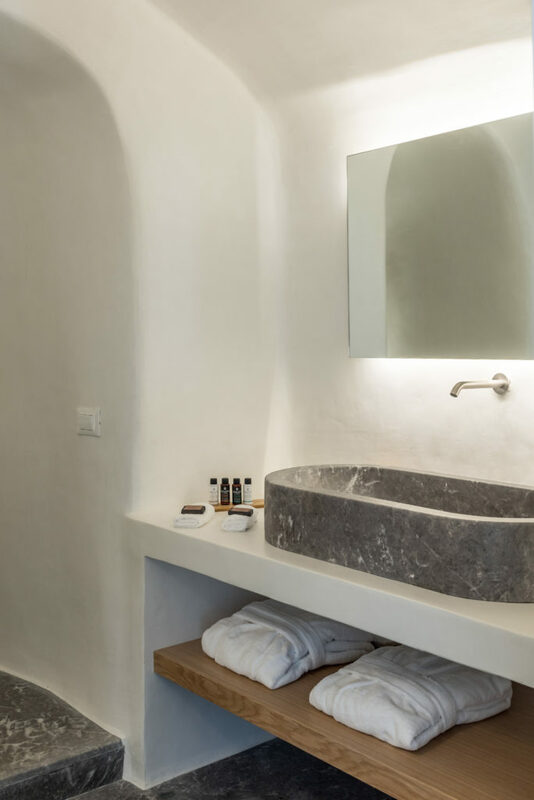 Open plan rooms with marbled floors meet spectacular indoor/outdoor plunge whirlpools in our concept, preferring clear lines over everything else. 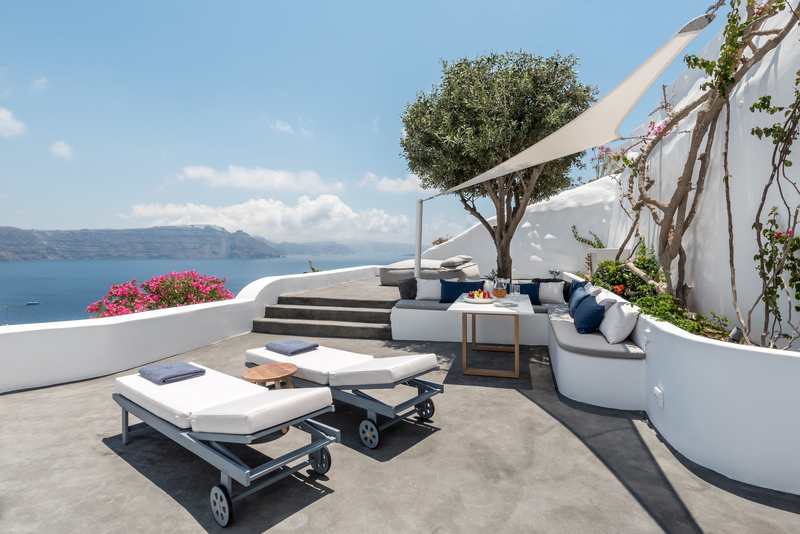 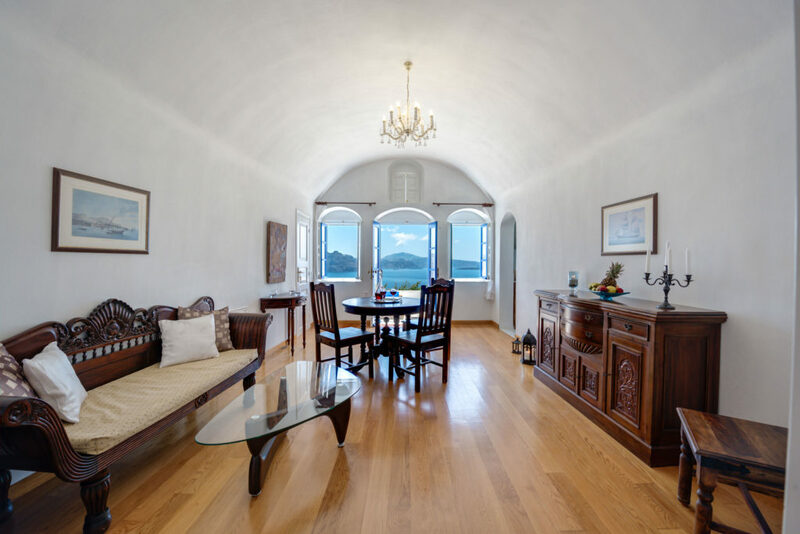 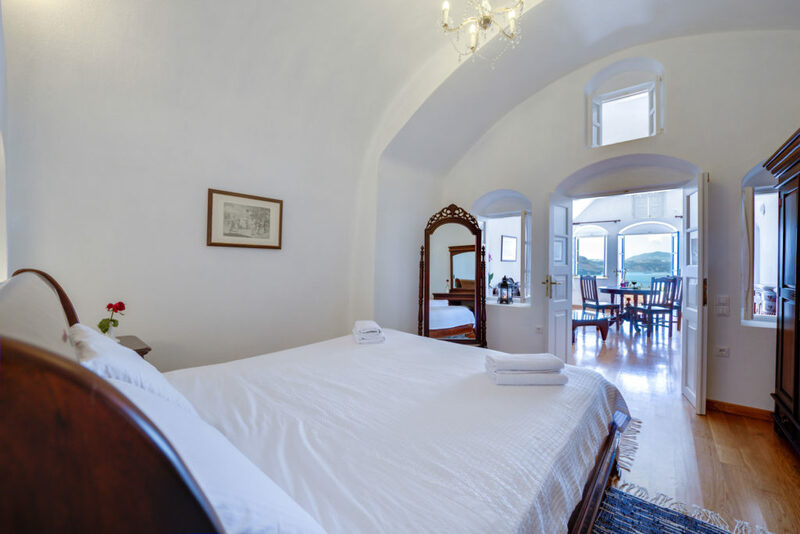 All Chelidonia suites are unusually spacious, each comes with full Caldera view and – of course – the volcano in focus.